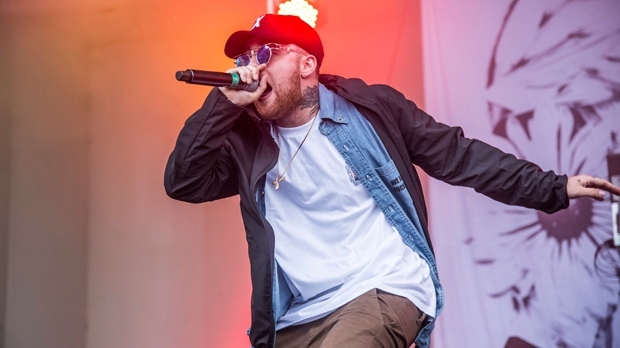 LOS ANGELES -- Mac Miller, the platinum hip-hop star whose rhymes vacillated from party raps to lyrics about depression and drug use, and earned kudos from the likes of Jay-Z and Chance the Rapper, died Friday at age 26. “He was a bright light in this world for his family, friends and fans,” Miller's family said in a statement. While Miller didn't have a hit on Top 40 radio, he had a strong following on streaming networks and even had an album debut at No. 1 on the top 200 albums chart. He often alluded to his battles with addiction over the years and had collaborations with Kendrick Lamar, Lil Wayne and Ty Dolla $ign. Miller told The Associated Press that year that the album's depth and quality reflected two years of warp-speed development, his move from Pittsburgh to Los Angeles and just how serious he was about the craft. “There was always a lot more to me than what people wanted to say, that's the only thing that ever bothered me,” Miller said.